Halfway through taking photos for the tutorial, I gave up because the sewing process was too difficult to explain (or at least to help other people visualize). Instead, I suggested a simpler, no-sew variation using pool noodles and glue and a cardboard box. I gave you the sketch, and invited you to go try it. Many of you did, and posted about it, and linked back to my original post (thank you!). I was elated because it was proof that it actually worked! You must admit that it was somewhat silly of me to postulate a tutorial (even if there was a sketch) on something I hadn't even tested myself. 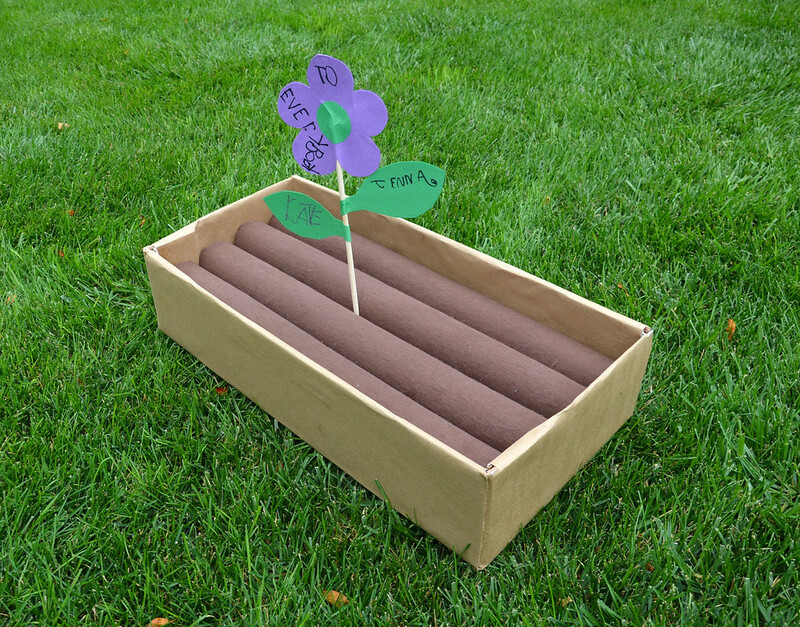 A couple of months ago, I made my own box of dirt for Jenna's and Kate's preschool. Emily brought our original foam dirt thing for show-and-tell a couple of years ago when she was in school there, and her teacher wanted to make one. I gave her the same untested method that I gave you - wrap pool noodles in brown flannel and stick them in a box. She went as far as to buy the fabric and pool noodles, and then didn't have the time to turn them into anything. So I cut up our own oldish pool noodles, bought some fabric and made the box of dirt for her instead. It was really easy! The most times-consuming part was finding a box of the right size that was also sturdy like a crate. I finally cut a bigger box down to size, and wrapped it up with plain brown paper so the students could, if they wanted, decorate the box. I made four rows of pool noodles and hand-stitched the fabric snugly around them (the stitching is all hidden underneath). 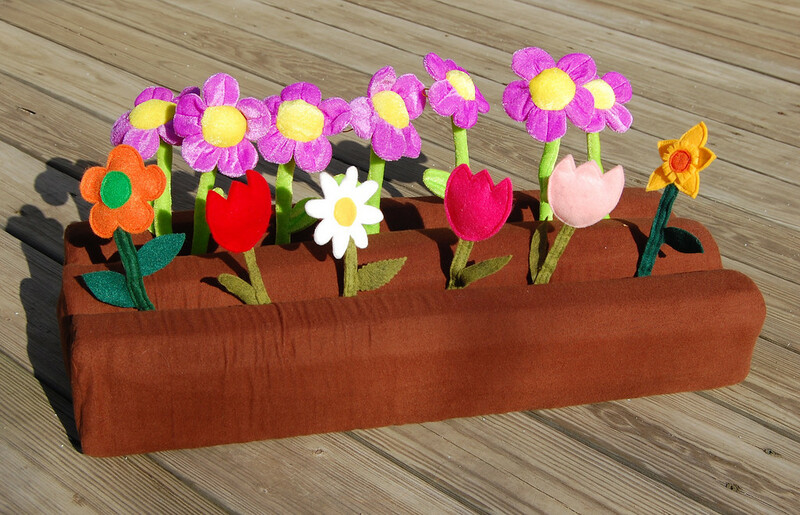 Each row consists of one whole pool noodle stacked on a half noodle, whose flat side allows that whole row to sit squarely on the bottom of the box and be high enough to accommodate the long stems of flowers. 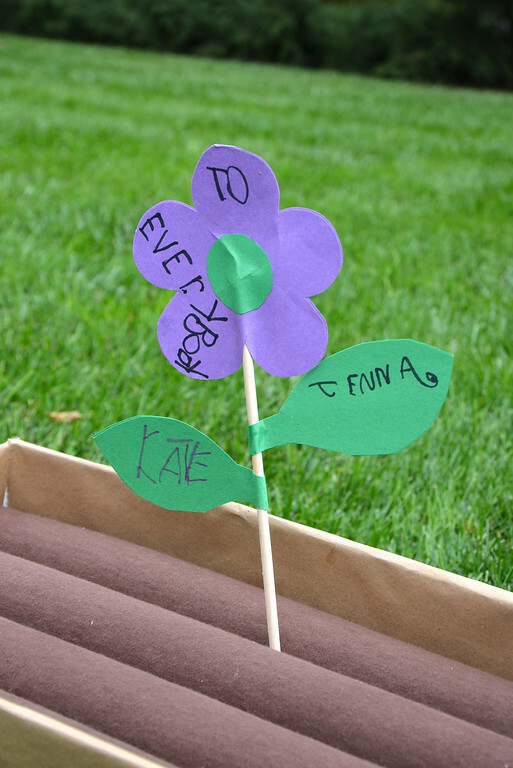 We made a flower greeting card, and Jenna and Kate signed it. Jenna wrote "To Everybody" - it was her way of saying that this was a toy meant to be shared by all the kids in the class/school. 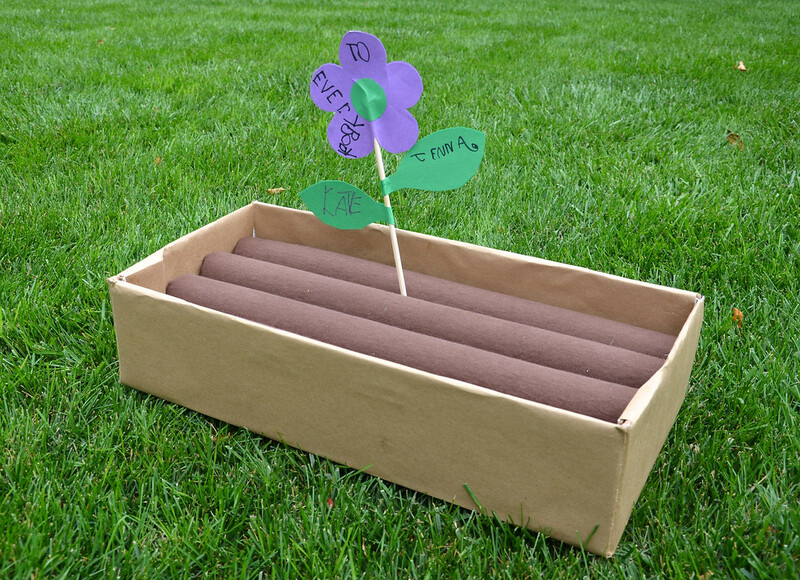 If you've made (and blogged about) a box of dirt like this, would you link up to your post in the comments so other people can see what you've made? Or share a photo of it in the flickr pool? I love that you'd made yours before I did! And I love Jenna and Kate's card. I love this, and saw it on your site a while ago. However We just don't have space for another big toy. So I made a mini version. 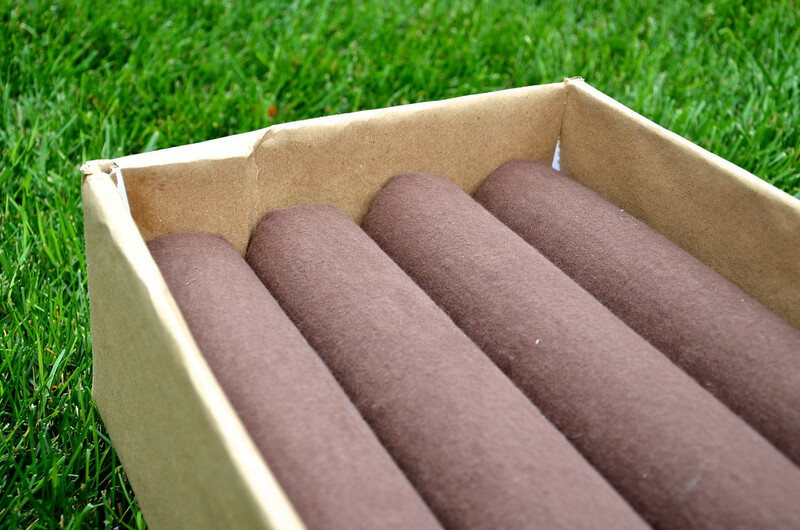 I took brown felt, cut it into rectangles and rolled it up into logs. Then I glue gunned the ends and tucked them into a shallow cardboard box we had laying around. I used whatever small silk flowers or other craft flowers we had around, and cut out veggies from card stock to "plant". It wooed great and is the perfect size for the dollies to garden in! And since the box had a lid, I decorated it and when the gardening is done all the little pieces fit inside the box. I am constantly making dramatic play centers for my kid's play, and this one is favorite! I featured my version in my blog and mentioned you as the mastermind. 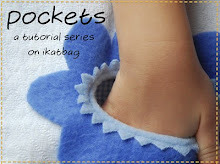 www.create-with-kiddos.blogspot.com. Thanks for the WONDERFUL post! 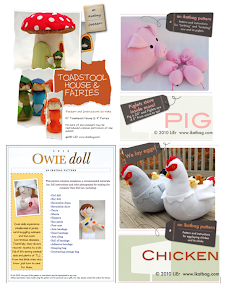 Stopping by to say Hello, and to let you know your project has been featured over at Daycare Spaces and Ideas!